Olympus teased the world with a short video of its much anticipated OM-D E-M1X camera, a radicalized fresh version of its flagship model. This camera is expected to escalate the mirrorless camera wars. As expected this year, the industry will be all fireworks as promised by Stefan Kaufmann, Olympus CEO (in charge of Africa, the Middle East, and Europe). Last year, Olympus broke its tradition after it failed to launch a product at last year’s Photokina, world’s largest photographic and imaging industries event. The company said it has its focus on 2019, the year in which it celebrates a century in the industry. “For us, an important landmark will be the 100th anniversary of Olympus next year, and I would like to ask you to stay tuned,” Kaufmann said. Its three top rivals, though, Canon, Nikon, and Panasonic all unveiled their new mirrorless cameras. Until this teaser video came on January 3rd, there were rumors that the camera would be launched on January 20. The rumors were just four days shy of the actual launch date, January 24th, as confirmed by the teaser. The video further confirms the pro-style body with a native vertical grip. As for other specifications, we wait to see if it has the 7.5+ stop stabilization, advanced autofocus functions, 2x the processing speed of the E-M1 II among many other rumored features. The Olympus OM-D E-M1X is expected to go against the camera trends by using the 20 MP Four Thirds sensor in its large frame. While the video doesn’t show much, you can’t fail but notice the camera’s bulky body. It uses the Micro Four Thirds body. The events captured include volleyball and swimming, suggesting the OM-D E-M1X is a sports camera. The environment it is used in suggests it is potentially rugged and weatherproof since the scenes captured in the video is around both sand and water. How Much Will Olympus OM-D E-M1X Cost? If its video trailer is anything to go by, the Olympus OM-D E-M1X is not a casual camera. It is modeled for professional sports photographers. And joining the company’s pro line, often with high-spec telephoto lenses, it should be able to capture lots of shots before the batteries run out and get replaced. 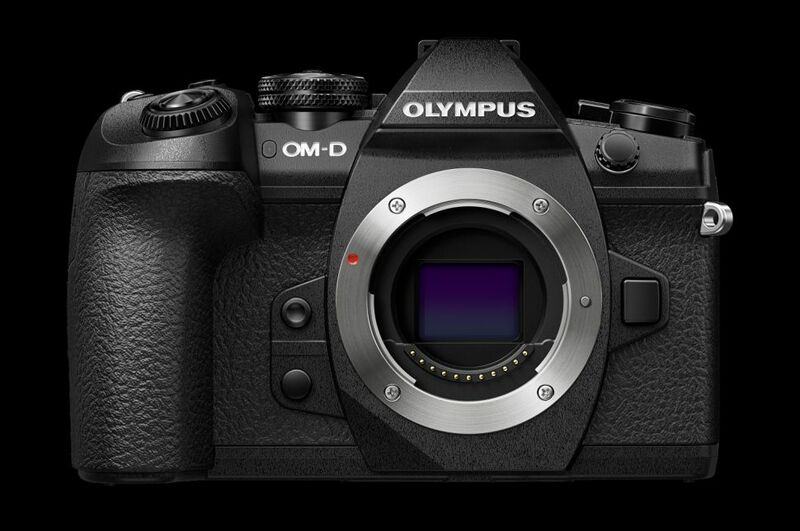 The OM-D E-M1X is expected to cost north of $2500. Most people thought the launch of OM-D E-M1X might have been delayed to coincide with the company’s centenary celebration. It was also anticipated that it would launch it at next Photokina event, scheduled for May 8 to May 11 this year. Olympus’ birthday is October 12, this year, and already there are plans underway to make this day memorable. It has commissioned its ambassadors to take portraits of hundred-year-olds to be included in a book meant for photographic exhibition at its London art gallery. But with the release date set on January on 24th, It is a long way between these two dates, and we can’t stop wondering whether Olympus has another trick up its sleeve.